We created a new web presence for a real estate title insurance company with 2 locations - Morris, MN, and Elbow Lake, MN; The site includes a custom Title Insurance Calculator for estimating closing costs and an interactive PDF Order Form that clients can fill out on their own computers and then FAX or email to the title company. A long-established dental office in Benson, MN, recently moved to a new building near the original site. We built a new site to inform new, current, and future patients of their location and services. 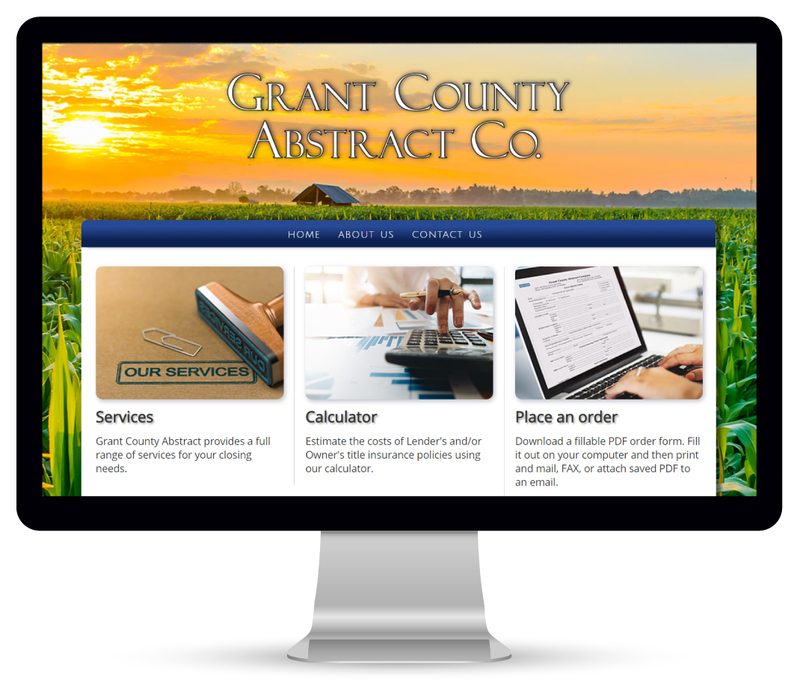 A patient portal with secure login for on-line payments, and a downloadable health-history form, as well as a gallery of new construction photos adds interest to the site. We also created a custom app-like mobile design for all pages. 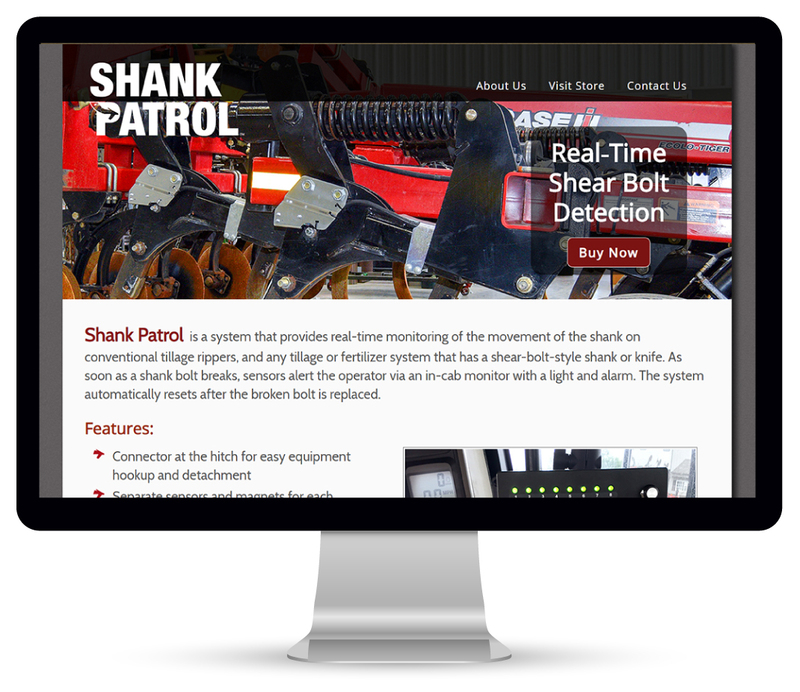 This site was created for Precision Ag 360 of Hancock, MN, to help launch a new product called Shank Patrol, a monitoring system for the cab of any tillage equipment tractor. The in-cab monitor detects movement in the shank that indicates a bolt is broken and sends a signal to the cab in real-time. This saves time and money since the tractor operator does not have to get out and check periodically for broken bolts, or risk missing rows. Founded in February 2015, their ultimate goal is to create a healthier, more vibrant community by creating opportunities for youth to grow socially and emotionally, to expand their opportunities for economic participation, civic participation, and social participation. We built a site showcasing various services, making forms available, and a gallery of mentors with kids, who are excited to have an additional adult in their lives. The site also includes a link to a portal for donations to this 501(c)(3) non-profit. 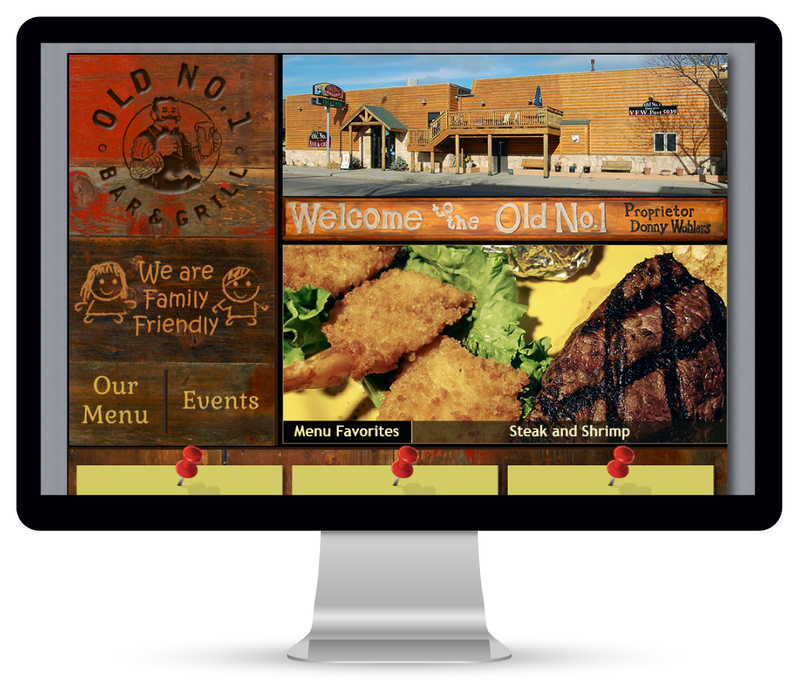 The Old No.1 is a bar and grill in Morris, MN, with a long and interesting history. They asked us to create a new look for the existing site, and we achieved that by taking updated photos of the recently-remodelled facility and current menu items, as well as focusing on primary attractions, such as their banquet facilities, a "sober-cab" bus service, and catering. The site features a dynamic link to Google maps, links to social media, and a one-touch calling feature on mobile devices. We also incorporated features that would improve SEO (Search Engine Optimization) and registered the site with the major search engines. 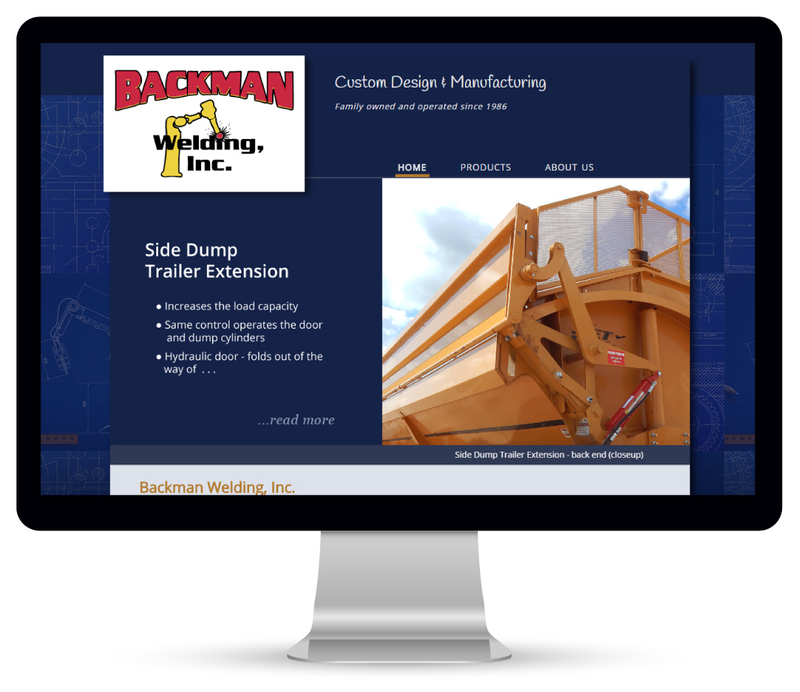 Backman Welding, Inc. has been family owned and operated for over 25 years. 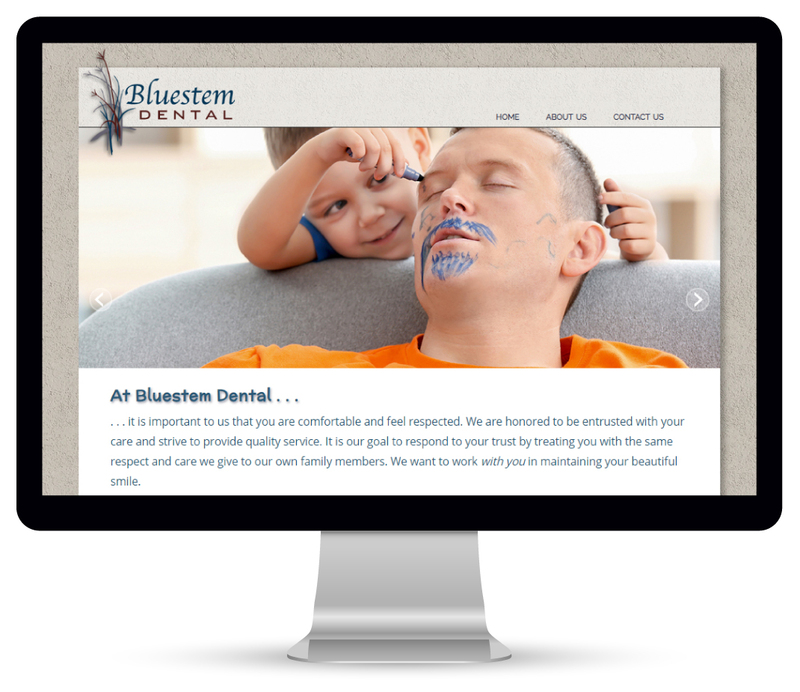 They asked us to create a site to increase visibility and promote their main products. We created custom videos, photo galleries, and included download options for price sheets and specifications. We also combined several videos as a presentation vehicle to be used in their booth at farm shows. 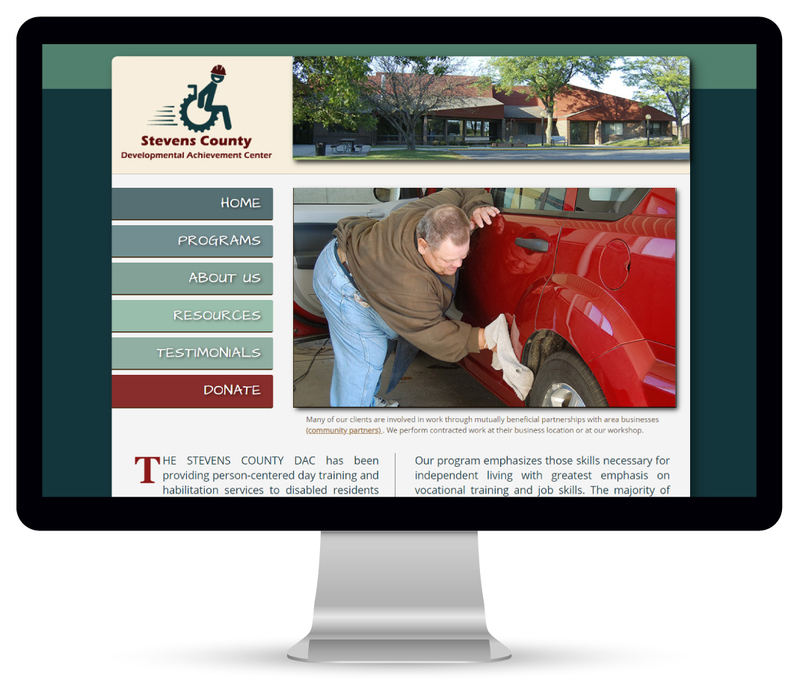 We created a site for the Stevens County Developmental Achievement Center (DAC) in 2011; however, due to changes in technology and the need for mobile compatibility, this site has been completely redesigned. 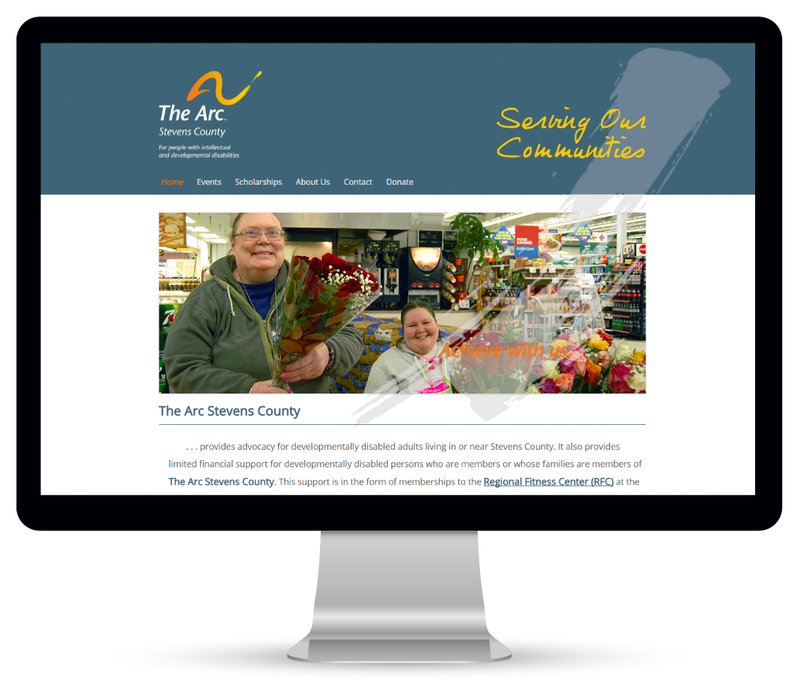 The update includes a fresh new look with galleries and slide shows portraying DAC clients doing work at community job sites, as well as at the Stevens County DAC facility in Morris, MN. The updated site was launched on December 8, 2015. 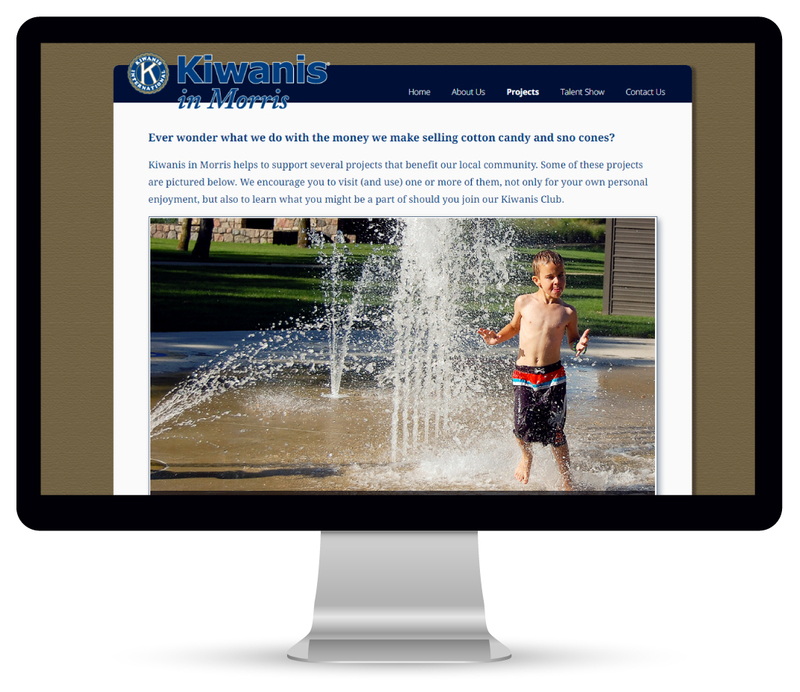 The Kiwanis Club of Morris, MN, is a local service club made up of members of the business community. The club's vision is to improve the lives of children. They needed a new web site to increase public awareness of what the club does and who they are. The site included information about fund-raisers, as well as membership information and a slide show of recent projects that benefit the local community. This site is no longer available online. Del Dee Foods, Inc. is a custom spray drying facility, family-owned and operated for more than 30 years. 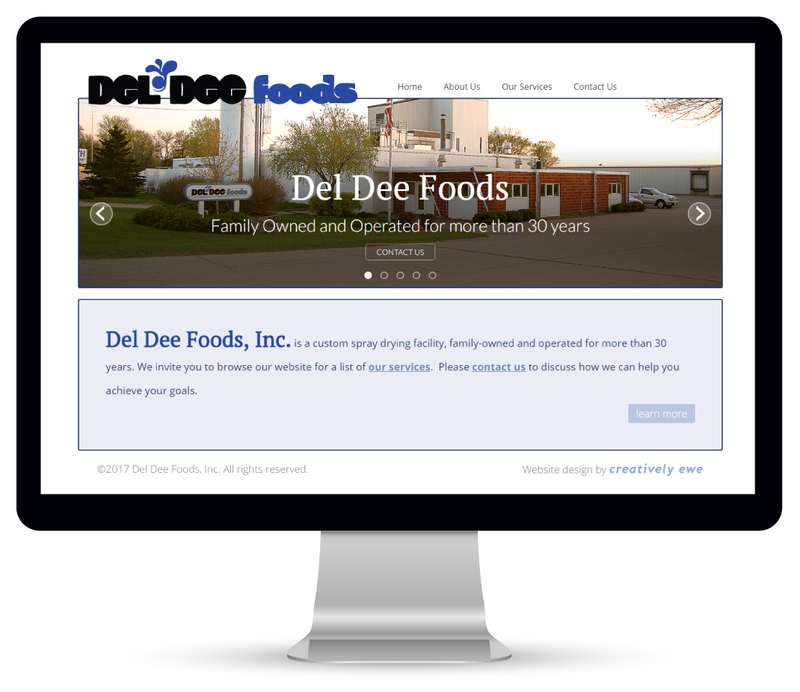 Their current site was out-dated and did not accurately portray the business, so Del Dee Foods, Inc. needed a new site that would showcase their services. This site replaced an existing website and uses a Content Management System (CMS) to allow the staff of AE Realty to make changes easily and efficiently. 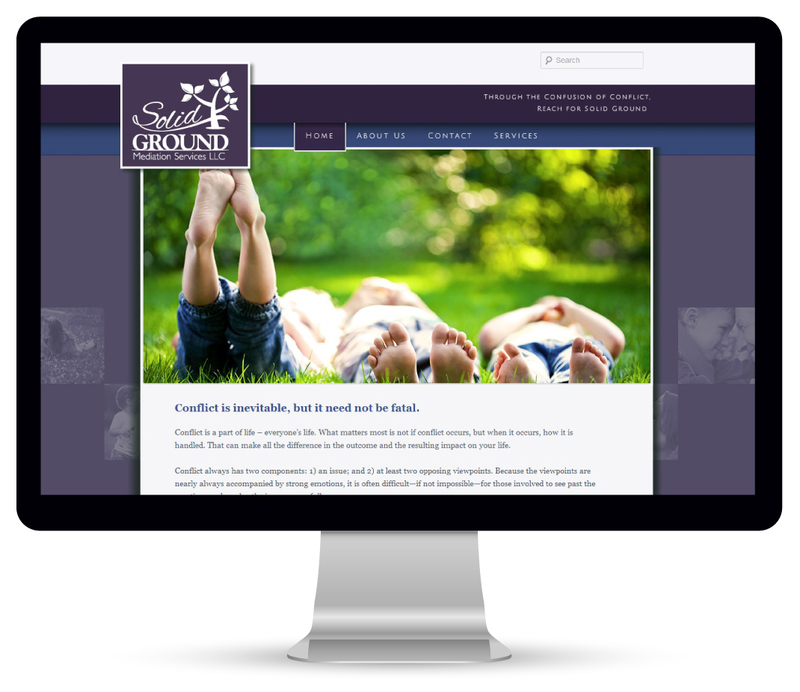 To do this we created a custom child theme specifically tailored to the needs of a busy realtor. Using the CMS, changes can be made from any computer with internet access, a feature that allows clients to be able to manage their business site even if they are out of town. provides services and advocacy for developmentally disabled adults living in or near Stevens County, as well as limited financial support for developmentally disabled persons in the form of Regional Fitness Center memberships and scholarships to summer camp. It also provides scholarships for high school and/or graduate students intending to start a career in special education or nursing. 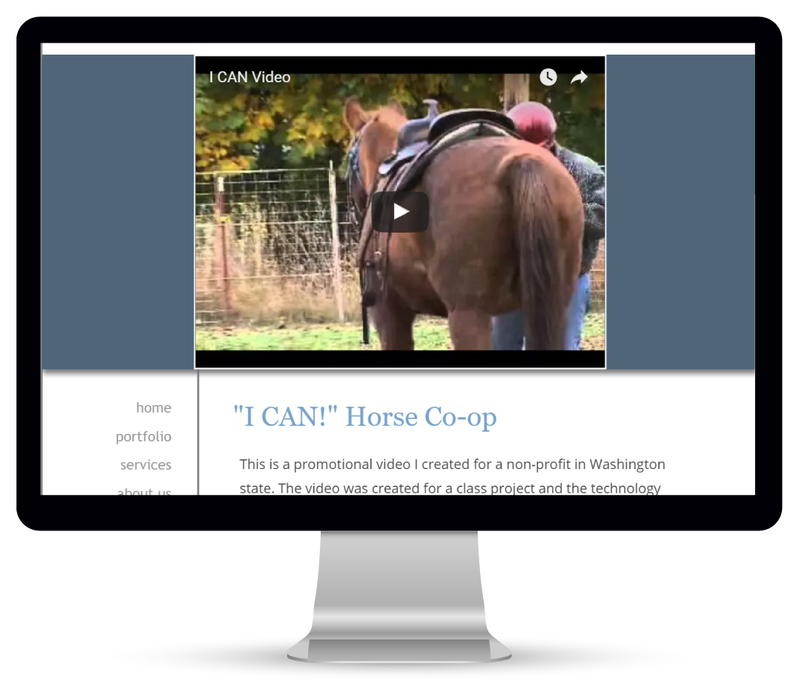 This stand-alone page features a custom video created especially for the "I CAN!" Horse Co-op. The video explains the Co-op program as well as showing some great footage of the kids enjoying the horses. 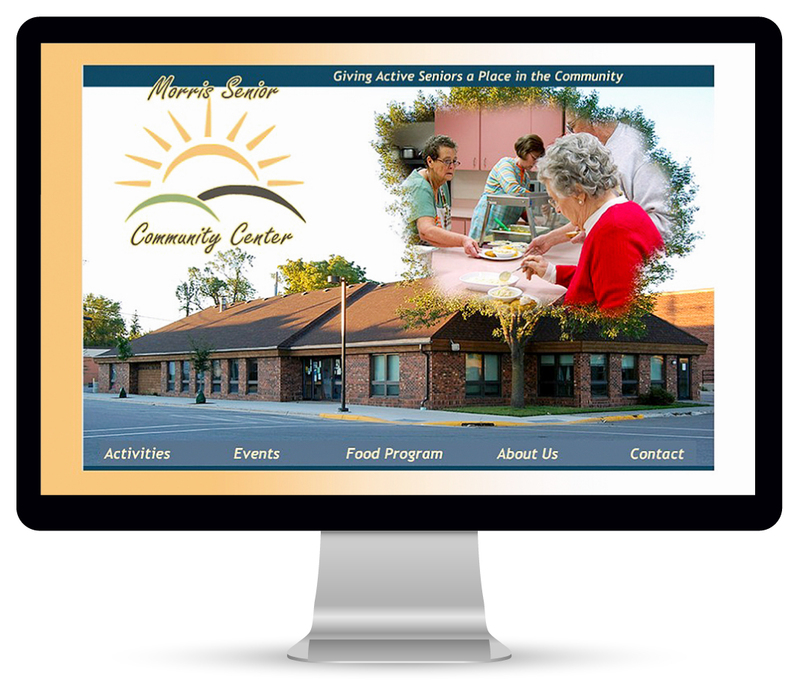 This site was created for the Morris Senior Center in Morris, MN. Although it is no longer available on-line, it featured a monthly and daily schedule for activities at the Senior Center, a downloadable menu, and especially focused on their noon meals, including "Meals-on-Wheels." 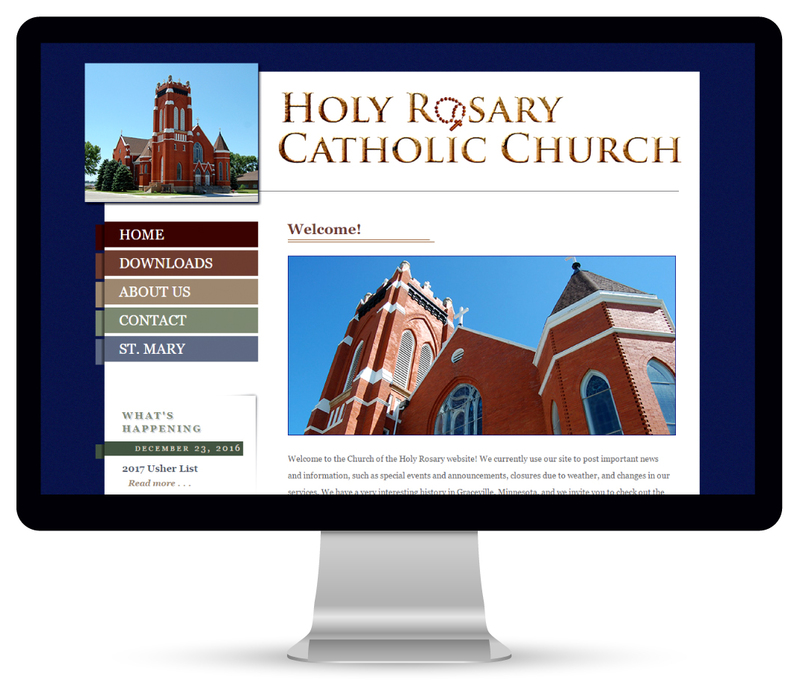 The Church of the Holy Rosary needed a website to distribute information more quickly & efficiently. The site featured links that enabled parishioners to access resources at any time instead of having to call the church office, a slider showing photos of the inside architecture and a page documenting the church's long history in Graceville, MN. This site is no longer available online. 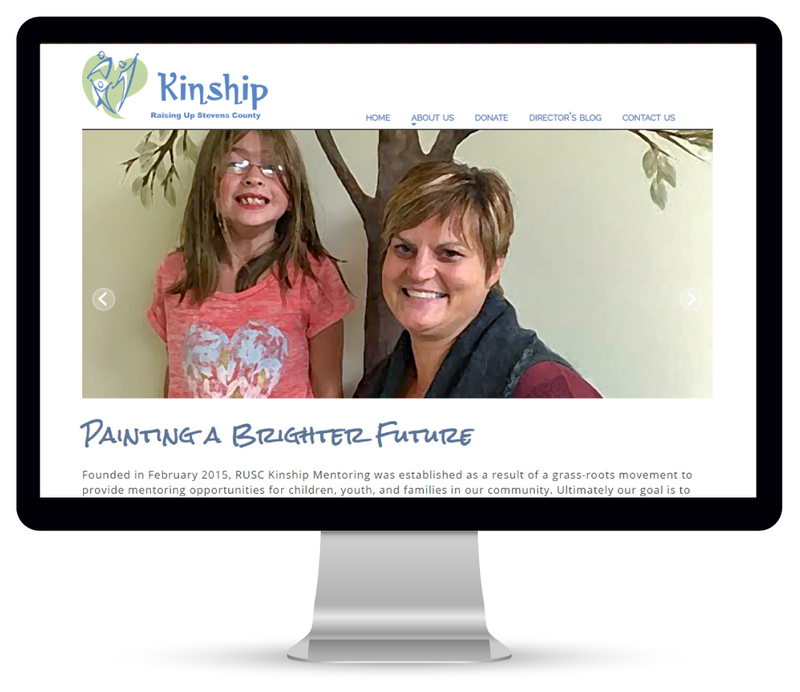 A few of our most recent web sites are showcased here. Hover over a photo to pause the slideshow. Check out our portfolio page to see larger images and links to the live sites. creativelyewe offers custom design every time to create an on–line presence that reflects your personality and meets your specific needs. We believe it is that distinction that will help your organization to succeed. Check out our services page to see some of the things creativelyewe can do for your organization and then contact us today to set up your FREE consultation.